How to buy a tank may be useful advice with Christmas around the corner and if you are searching for an unexpected gift. Roger Field pops down to Tanks A Lot and reports on the best they have to offer. For advice on more conventional presents, read about where to get your shoot cup engraved. If you are looking for something to wrap up under the tree, brogues will always be the perfect gift for a real country gentleman. Take a look at best brogues. Which to wear and where to buy to see the cream of the crop. Knowing how to buy a tank is crucial information in a world where cars are becoming increasingly boring and samey: quieter, more eco-friendly and decidedly sensible. The perfect riposte for the driver who needs to strike back at the forces of moderation and conformity is to buy a tank. Ignoring for a moment that tanks are smelly, noisy, uncomfortable and very, very prone to breaking down, they also have an “on yer bike” majesty, especially when they mix with modern traffic. Knowing how to buy a tank will mean a punchy mother on the school run in a Chelsea tractor, or a liberal do-gooder who knows his or her rights in an earth-saving hybrid made of recycled baked bean tins will know who has right of way when face to face with a massive clunking lump of steel on tracks. In fact, it is not until you have driven through a mediaeval German town in a Chieftain tank and watched the behemoth in front of you (not my troop I was able to report as the brown stuff then hit the whirly thing in a furious blur of sirens and blue lights) as its tracks snagged on the ancient kerbstones, before flinging them up and at the houses bordering the street, that you fully realise that the person in the tank is truly king of the road. To be king, you must buy a tank. To be king of the road, you need a tank. Armed with a virtual Field chequebook, I went to see what I could buy at Tanks A Lot, aptly located near Silverstone, in Northamptonshire. And, like any putative buyer, the first step to buy a tank is a test drive. I brought my son, Sandy, and Fay Crampin from The Field to get a different perspective on these steel beasts as I admit to being distinctly biased. Back in my Army days, I commanded Chieftains, Scorpions and Scimitars among others. I think tanks and armoured cars are great, but I wanted to see whether the younger generation found them as much fun as I once did, and wanted to buy a tank just as much. 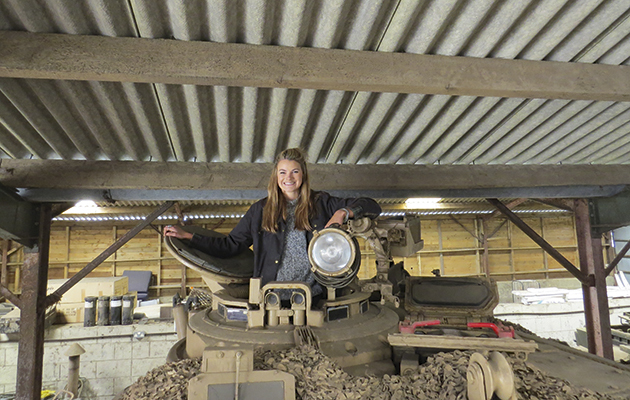 Roger Field took Fay Crampin from The Field along to Tanks A Lot to see if the younger generation still love tanks. First off, Nick Mead and Tod Chamberlain explained we would not be driving Chieftain tanks. 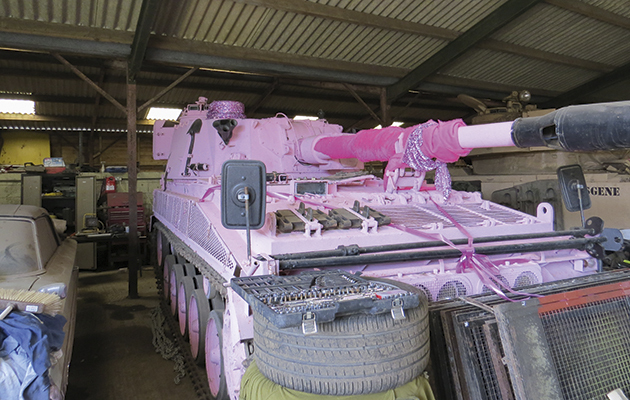 They had some for sale, but there was such a high risk of breakdown it was just not worth firing them up, which is worth keeping in mind when considering how to buy a tank. In fact, Mead (the owner) explained, when he started this business 20 years ago, there were others who specialised in providing Chieftain driving days. They soon went out of business as they cost too much to keep going. Instead, Mead keeps it simple by specialising in armoured personnel carriers – easy to drive and relatively simple to maintain – and Russian self-propelled guns: positively agricultural and unforgiving brutes to drive but – and not unlike that other great Russian military export, the AK-47 – extremely reliable. This came as a bit of a shock to me as I had swallowed our own propaganda and believed that, although the engine on our Chieftain tanks was for ever breaking down, Russian vehicles were even worse. Not so, said Chamberlain: the Russians would have kept coming, even as ours did their normal and blew their complex seals and hydraulics. Roger Field also took his son, Sandy, to get his opinion on the best tank for Christmas. Chamberlain explained how women tend to be far better tank drivers than men. On their regular “Full Monty” competition days, about 80% of participants are men but 80% of winners are women. He asks the competitors whether anyone rides and, usually, it is the women who do. Tanks, he then explains, are very like horses: pull the right tiller, just like the right rein, and the vehicle turns right. Furthermore, like a horse but unlike a car, it turns from the middle as it is on tracks. 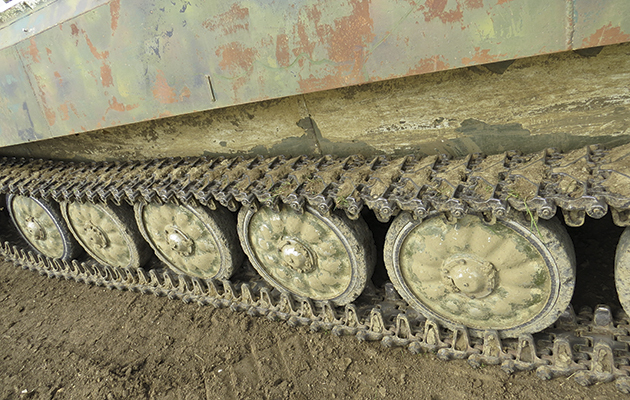 The secret to driving a tank well is to keep the speed up. Pulling a tiller slows that track while the other track keeps going and it turns. But that also slows the vehicle. Choose the best moment – when there is the least amount of track in contact with the ground – and the vehicle will turn faster and smoother and will lose less speed. Women riders appreciate this delicacy of approach better than most men. 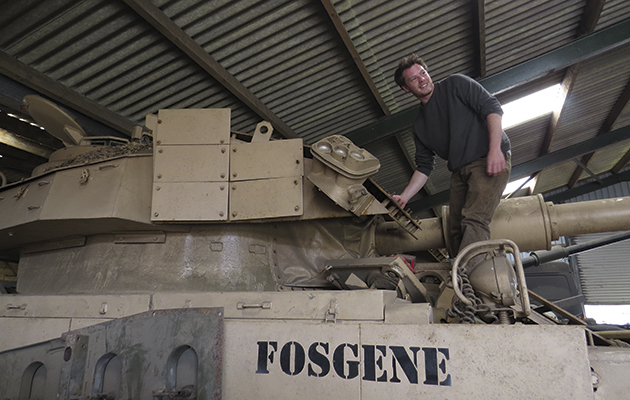 Sandy Field, the writer’s son, drives an ex-Army FV 432 Armoured Personnel Carrier (British). And so to the British 432 Armoured Personnel Carrier: 15 tons, top speed of 32mph, and designed to take 10 soldiers in the back, plus a driver and a commander. Crampin and my son agreed that, when not being used to deliver heavily armed soldiers on to an enemy-held objective, you could buy a tank for the school run: 10-plus children and animals can be packed into the steel, coffin-like interior and left to beat the living daylights out of each other while Mum drives it to school, shoving all and sundry out of her way as she does so. No more shouting, arguing children in the back either; it is so noisy inside an APC that the driver cannot even begin to hear what horrors are being perpetrated behind her which would make it worthwhile to buy a tank. And, as Crampin remarked when she emerged with a massive smile having driven it around the heavily rutted and pot-holed track, “Tillers are so much more fun than a steering wheel.” What is more, 432s have incredible torque. Chamberlain put the vehicle into third gear and there was no need to change gear from then on: changing gear is when things start to go horribly wrong for the novice driver who want to buy a tank. 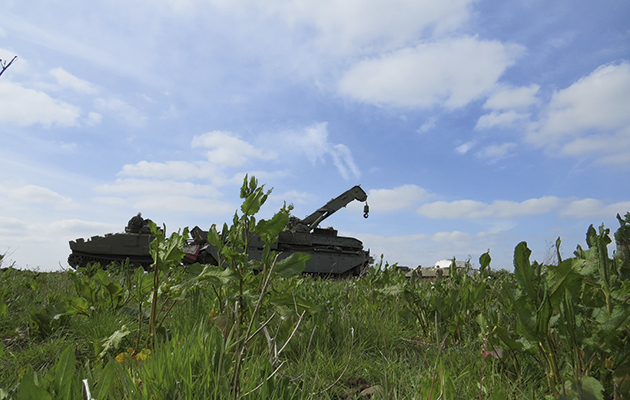 FV 180 Combat Engineering Tractor, one can continue gardening in this under any attack. Next up, with its huge, hydraulic front bucket, was the ultimate in fully amphibious garden tractors: the massive FV 180 Combat Engineering Tractor. When looking to buy a tank, the FV 180 has the distinct advantage over most commercially available tractors that one can continue gardening, even under nuclear, biological or chemical assault or, as my son pointed out, sustained zombie attack. The two-person crew close down their hatches and keep on weeding, or take to the water to escape. Again, Chamberlain put it into one gear (first) and left it there. As he explained, make a mistake on the gear change on this monster and blow a gearbox and you are talking £250,000 to replace it, an expense woth remembering if you want to buy a tank. I suggested that, as you could not just pop down to the local garage when these temperamental beasts went wrong, an owner also needed to invest in that ultimate backbone of the mechanised unit: a section of foul-mouthed, beer-drinking, oil-covered, REME mechanics. Not so, said Mead. To buy a tank and repair it, all you needed was a farmer who kept his machinery working by bodging and making do. You never wanted to go back to the manufacturer to buy a spare part as the new prices – those paid by the MoD – were invariably stratospheric. The S21 Gvozdika “Carnation” drives like a Bentley. 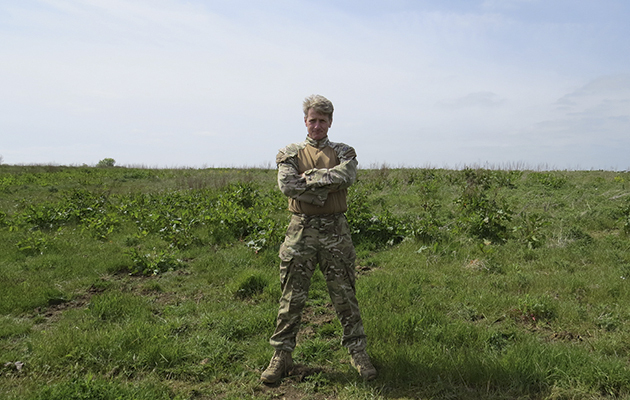 What had happened with this combat digger is an object lesson in what is wrong with the MoD and the defence budget – think of this story next time you fulminate at MoD overspends. Each FV 180 had cost about £4 million new. This one had a mere 38 miles on the clock when he decided to buy a tank. It had been declared as “beyond economic repair” so he paid £5,500. On opening up the engine decks he found a pair of purple nylon underpants enmeshed in the starter motor. Five minutes with a Stanley knife and the brute burst into life: pathetic on the part of the MoD. However, once Chamberlain got it started for us, it was a handful to keep going. Nevertheless, after a trip around the track there were more huge smiles. The verdict? If you buy a tank, this one is like driving a Bentley after the 432. Nick Mead on an S21 Gvozdika “Carnation”. All this was but a warm up for the main event: driving a 17-ton Russian 122mm self-propelled howitzer (so not a tank as such) called a S21 Gvozdika “Carnation” – a strangely delicate name. This one had been bought direct from the Balkans and bore tell-tale bullet scratches. It was, we agreed afterwards, the most fun drive if you want to buy a tank. It really was a wrestling match to power it around the track and I came away with huge respect for the guys who would have had to fight the tillers as they drove it across country. I would not want to arm-wrestle a Gvozdika driver. To buy a tank, for this one a buyer would need a firearm certificate for the howitzer but Mead had never known anyone have a problem with the police: it is fairly obvious to even the most worried policeman that the owner is unlikely to be able to access Russian 122mm ammunition. That said, and as Mead pointed out, beware the smoke dischargers on British fighting vehicles. Bizarrely, as they are “multi-barrelled”, they require a Section 5 firearm certificate (as for a machine gun; not easy to obtain). Better remove them. Anyway, who needs to lay down a smoke barrage in the high street? Finally, Mead let us loose on a Springer. The last time I had seen one of these was at the British Military Tournament at Earls Court. Festooned with weapons and used in Afghanistan it looked like something from the Second World War and the Long Range Desert Group. It also looked to me to be overly vulnerable to incoming fire. 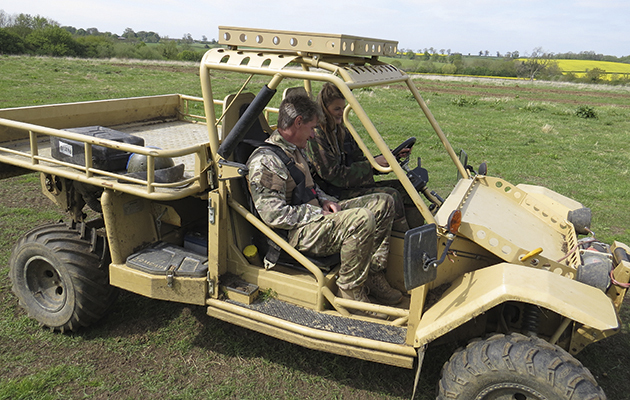 The Army obviously agreed because it got rid of them, which leaves buyers with a fun cross-country vehicle, not unlike a demented, oversized dodgem car, and which would make for a great all-purpose gamekeeper’s ride if you want to buy a tank. We all had huge fun as we “drifted” the Springer around another track, hooting with laughter as we each tried not to lift our foot from flat on the loud pedal. Tanks may be immature but there will be one on Roger Field’s Christmas wish list. So: smelly, noisy, fuel-guzzling and both politically immature and politically incorrect. With knobs on. Our verdict? Long live army surplus vehicles, regardless of which army owned them. But take a test drive before putting a tank on your Santa wish list, lest you end up with far more than you bargained for. 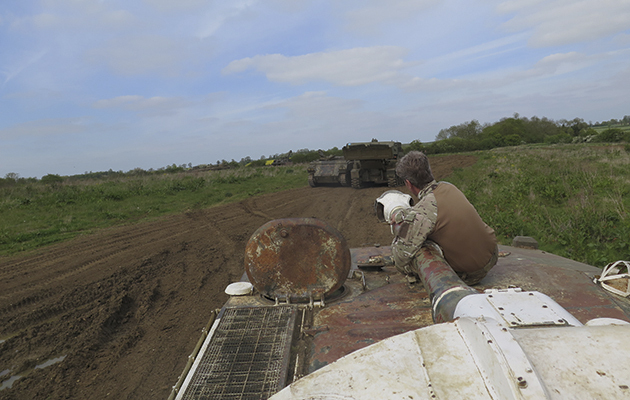 Have a go for yourself in a tank on a driving day. Tanks A Lot, Nr Silverstone, Northants, tel 01295 768400; www.tanks-alot.co.uk. 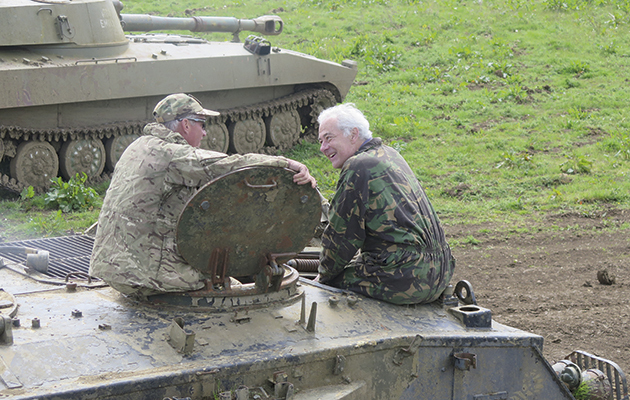 Juniper Leisure, Nr Winchester, Hants, tel 01794 367367; www.tank-driving.com. 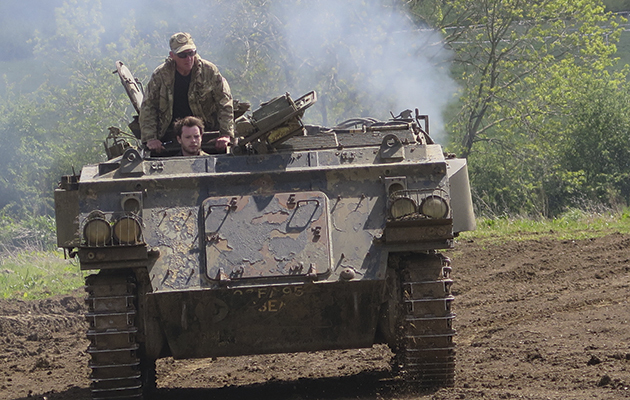 Tank Driving Scotland, Nr Auchterhouse Dundee, tel 01250 873808; tankdrivingscotland.com. Muckleburgh Collection, Nr Holt, Norfolk, tel 01263 588210; www.muckleburgh.co.uk. Buy your own tank and rule the road. Prices exclude VAT and depend on condition. 432 APC, from £6,500 (the most recent one sold, £13,000). Centurion tank, the one that led the advance into Iraq in Gulf One, £50,000. Chieftain tank, from £18,000 to £50,000. 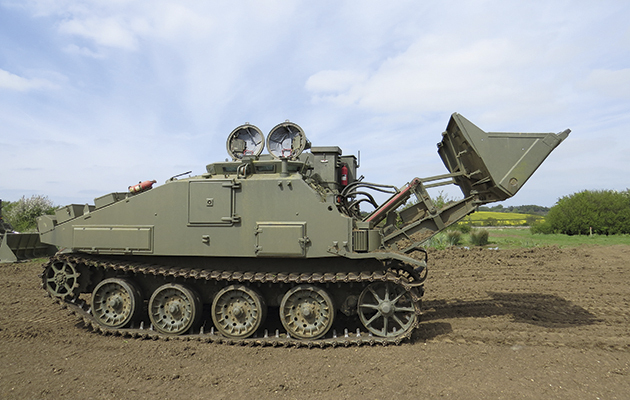 FV 180 (Combat Engineer Tractor), from £10,000. Scimitar CVR(T), £39,950 (excluding VAT) from www.mod-sales.com. Ferret Mk2/3 armoured car, £4,750, from www.milweb.net. Hummers: from about £15,500 from www.autotrader.co.uk.